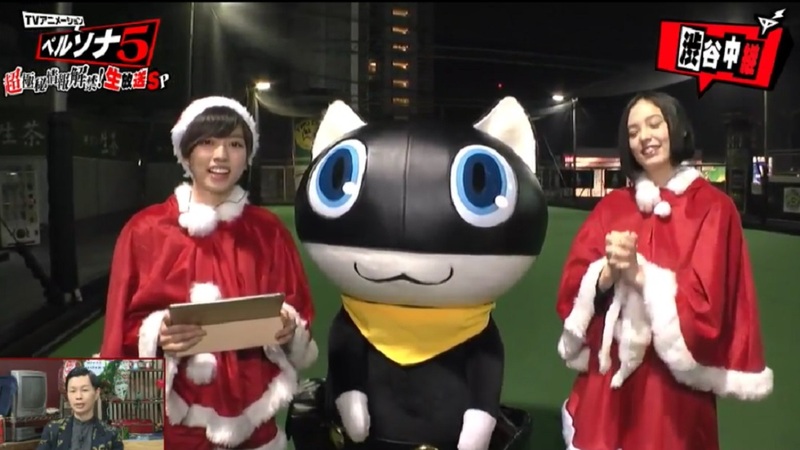 Atlus held their Persona live stream today. It featured festive fun, a baffling card game that made my head explode, lots of shouting, and a giant Morgana angrily shoving a young woman over on a soccer pitch. I'd try to put it all into context for you but, brothers and sisters... I can't. 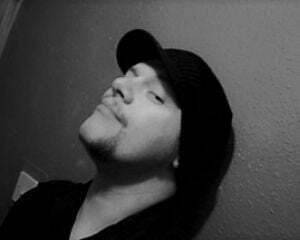 What I can do is relate the plethora of news that came out of the wacky stream -- which was about 75 minutes of goofiness and 15 minutes news-- concerning the Persona 5 anime, the upcoming Dancing Night titles, Blu-ray sets, and the canon name of Persona 5's awesome protagonist, Joker. First things first, The Persona 5 anime will screen in Japan in April 2018. 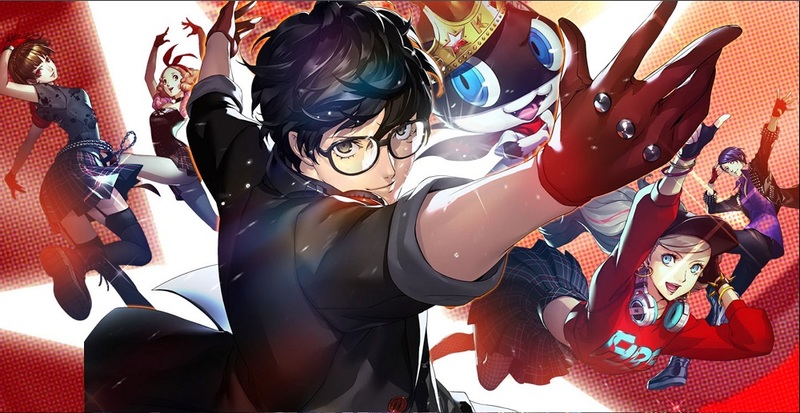 Our boy Joker's canon name, according to Atlus, is "Ren Amamiya". This differs from his nom-de-plume in the manga adaptation, which was "Akira Kurusu". Unfortunately, as of this writing, the official trailer for Persona 5 the Animation has not been made accessible to all countries, so if you can't find it on YouTube here, then it can be viewed, along with cast and crew information, at Moetron's website here. New trailers were shown for both rhythm-action titles Persona 5: Dancing Star Night and Persona 3: Dancing Moon Night. The games -- which launch in Japan May 24, 2018 -- look to retain the gameplay and features from previous release Persona 4: Dancing All Night. 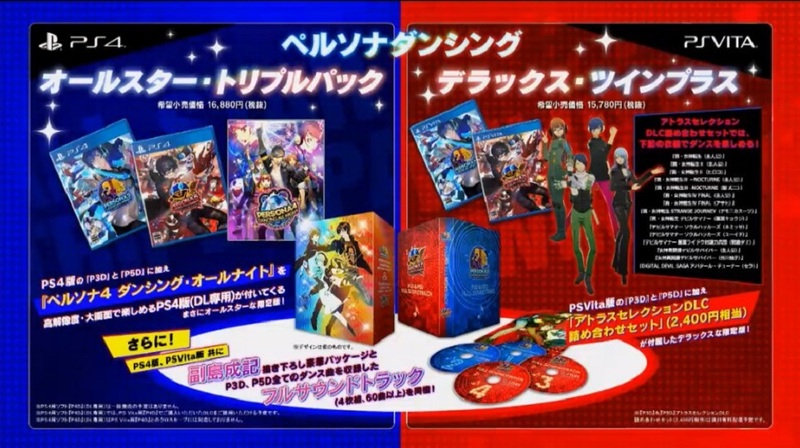 The new titles will feature remixes of popular series' tracks, duo dances and loads of costumes. Not only that, but Persona 4: Dancing All Night is also getting a PS4 re-release as part of a beautiful trilogy boxset! Priced at ¥16,880, (roughly $150) the set contains physical copies of Moon and Star, a downloadable copy of All Night, exclusive costumes, and a four-disc OST, featuring a cool 60 tracks. There are no plans to re-release Persona 4 Dancing All Night as a standalone title. If you own the game already on PS Vita however, then your DLC purchases will carry over into the PS4 re-release. You can check the new trailers for both games below. In other news, the Persona 4 anime is getting another re-release. A new deluxe box set will feature all 38 episodes on Blu-Ray, the original soundtrack, and new illustrations by artist Shigenori Soejima. The set is slated for release in Japan April 11. Looks like Christmas came early for a lot of Persona fans. I personally find all this news very exciting, and I'm just hoping that this will be confirmed for the West in some form soon. Many thanks to Twitter user MysticDistance for their non-stop live updates and invaluable help with translations. Persona 5 the Animation begins broadcasting in Japan April 2018. The Persona Dancing Night Trilogy launches on PS4 and PS Vita in Japan on May 24, 2018.